As the tenth largest city in the United States and the heart of Silicon Valley, it should come as no surprise that San Jose, California is booming. The city expects to see its population grow 33 percent by 2040. And as a hotbed of tech entrepreneurs, it should also come as no surprise that the city is turning to technology to help prevent urban sprawl – and all the problems that come with it. Envision San Jose 2040 General Plan and Green Vision is the city’s blueprint for smart growth in the years ahead. It sets some ambitious goals, including creating 25,000 clean tech jobs, achieving “zero waste” by converting it into energy, and reducing energy use per capita by 50 percent, all by the year 2022. “There’s nowhere to go but up,” Vijay Sammeta, CIO of San Jose, tells Digital Trends. And for San Jose, that means everything from self-contained mini cities to smart street lamps, phones that help the city spot infrastructure problems, and thermostats that reduce its energy burden. Part of the plan to keep things contained involves creating “urban villages”; instead of plopping in a strip mall as residential areas become densely packed, these are thoughtfully designed mini-cities that contain everything a resident could need, including a place to work. Shopping, dining, entertainment, culture, public transit, and business are all within walking or biking distance of where you live. The idea is to make your community so fantastic, you never want (or need) to hop in your car. The idea is to make your community so fantastic, you never want (or need) to hop in your car. And it’s not just San Jose that needs to worry about growth and sustainability. By 2030, the world’s number of mega-cities will have grown from 28 to 41, and by 2050, 66 percent of the earth’s population will live in an urban area, according to a report from the UN. “If we get the countryside just right and don’t get cities; we’ll still be in trouble,” says Jesse Berst, Chairman of the Smart Cities Council, an industry coalition dedicated to making cities sustainable and whose partners include Qualcomm, Cisco, Microsoft, and GE. 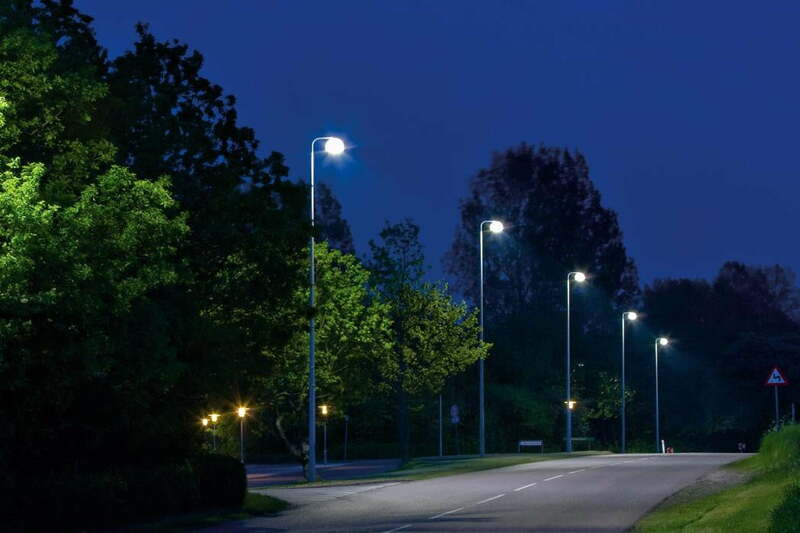 Smart street lights can help improve road safety, monitor air quality, and even track down criminals with the help of video surveillance. To continue to function, cities will need to get smarter, but right now there’s no standard definition of what it takes to be considered a smart city. Do you need to have a certain number of departments sharing data? Should you be on track to reduce energy consumption by a certain percentage with the help of a smart grid? Is it mandatory that you have smart traffic lights or road or air quality sensors? Because each city is different (not everyone needs to worry about technology that will help reduce flooding, for example), the Smart Cities Council still created 17 “universal targets” it believes should be achieved across all departments and communities, including publishing privacy rules and adhering to open standards. The technology needed to make cities operate better is becoming cheaper and more accessible, and certain entities are paying attention. “The drivers of a lot of smart cities is around large industrial users like utilities,” says Francis Costello, senior vice president of product and ecosystem management at On-Ramp Wireless. The company developed a wireless network used by customers such as San Diego Gas and Electric to connect its radios and monitors and detect faults and outages. Another company, LED Roadway Lighting, integrated On-Ramp’s communication system into LED streetlights. Costello points to a recent example when someone at the power company could have made the streetlights brighter after a San Diego neighborhood was evacuated during a wildfire threat. “It’s a little thing, but if you were one of those people who were evacuated, you’d be feel much better about the safety of your home,” he says. Tratz-Ryan sees the potential of a street lamp packed with air-quality sensors, traffic sensors, light controls, and a camera. “You can see how quickly sensor-izing just one street with many different sensors actually becomes an intelligent hub for information that is concerning all different types of services,” she says. One of the challenges of smart cities is retrofitting the existing buildings, roads, and other components. Increasing the heating and cooling efficiency of a commercial building, for example, isn’t as easy as sticking a Nest thermostat on the wall. “It’s not actually the age of building, it’s the age of infrastructure,” says Scott McCormick, vice president of sales and business development for BuildingIQ, a company that uses analytics to improve HVAC energy management. As long as the system’s components are from the past 40 years, the company says it can save a building twice what it charges for its monthly subscription in energy cost. In Boston, every time you rattle over a pothole, your phone’s accelerometer and GPS can work together to send its location to the city, who can in turn aggregate the data from lots of others and send crews out to repair the damaged road — provided you’re using the Street Bump app. A smart city’s citizens will have their own role to play in improving their environment. But that only works if enough people decide to install it and give up a little piece of their digital lives to the city. “Energy data for some reason is considered private,” says Sammeta. “That’s a little bit of a challenge for us, [but] that will change over time, certainly.” Berst agrees, because there’s a quid pro quo that’s already happening with energy companies and consumers. “If you don’t want to share your energy information, then the utility can’t give you recommendations on how to your cut bill,” he points out. Still, he recommends that cities be transparent about their privacy policies and bake in safeguards right from the start.